The Sierra Buttes Trail Stewardship is presenting a weekend of camping, riding, Barbecue and trail work. Saturday is for riding fun. Two ride distances are offered, 31 miles and the 47 mile loop with 7,500 feet of gain. 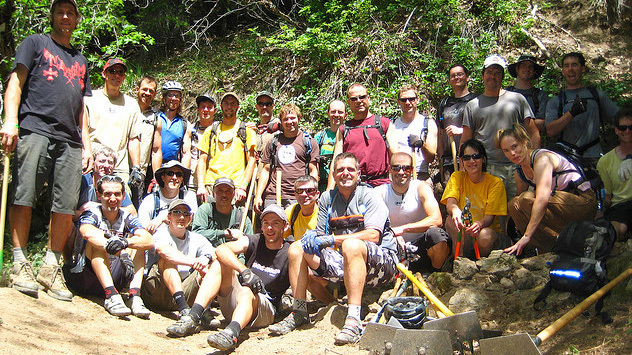 Both rides feature fully stocked aid stations and a lunch stop in Downieville at the Yuba Expeditions bike shop. The Barbecue is Saturday night at the Indian Valley Campground along the Yuba River. There will be prize drawings, good food and beer from the Under Cover Ale Works. On Sunday, breakfast is served in the campground, followed by trail work on the Downieville trail system. Meeting Location: Indian Valley Campground (11 miles south of Downieville on Hwy. 49).